Classy hammered stainless steel chafer sits in a wrought iron frame.Fuel cans (2) are included along with boiler/water pan. Food pans are rented separately in either full or half sizes. Disposable aluminum pans are sold. 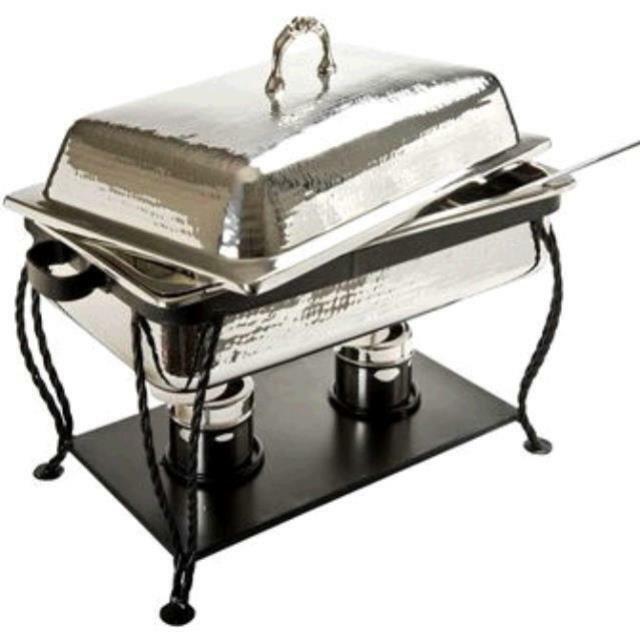 FOOD PAN, FULL SIZE - 4"
FOOD PAN, HALF SIZE - 2"
* Please call us with any questions you may have about our hammered chafer full size rentals/sales in State College, serving Central Pennsylvania.